The ever-changing User Interfaces forms the latest in technology news and top competitors like Google, Facebook and Amazon are the biggest contributors. Voice interfaces are surging exponentially in almost every industry be it healthcare, banking and all others diving in the tech revolution. 2017 was the year of Artificial Intelligence (AI) and machine learning for multiple uses. Applications powered by this technology became a statement but where 2018 would take us! Let’s have a sneak-peek in the future and coming of AI and Voice Assistants in mobile application development. During the last few years, it was about what the user is saying but today, it’s all about from where they say it and why! For the voice to be an integral part of consumer lifestyle, contextual understanding is the steppingstone. Take the Google Assistant that now understands the very context of follow-up queries whereas Alexa by Amazon haven’t yet reached here. Even with Amazon dominating the market above 70%, most of the existing digital assistants lack the contextual knowledge but only for now as development and integration measures are already underway. Individualized or adapted experiences are more expected with the spontaneous growth of voice assistants and its ability to differentiate between voices. We all remember the previous year when Google made an announcement of its Google Home Assistant being capable to support more or less six user accounts and detect voices per their uniqueness thus customizing many features. Taking things a step ahead is the ability to pick up on nicknames, transaction details, work locations and even connected accounts lie Spottily, Netflix and more per se. The tech competition is growing every day as old and new players are stepping in the game. Desktop and mobile app development teams cope with the complexity and fragmentation of multiple channels and platforms. It isn’t just the developers need addressing but brands need to understand capability of each contributing device and integration with their brand specification. Focus on maintenance of user experience should remain consistent. 4. Search Behaviors are Changing; as Expected! 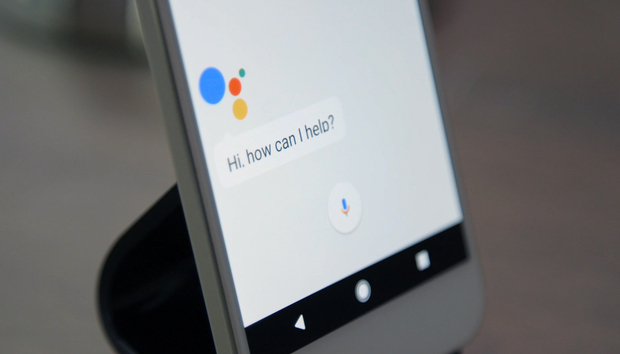 With voice assistants, users are unable to actually see or touch the interface since it’s connected to an app but, the coming days promises a big change. Brands are now seeing a turn where touch-points transform into listening points with organic way being primary for brands to ensure visibility. A data research concluded that more than 50% searches by 2020 would be performed through voice tech. Ad agencies and digital marketers are looking up to Google and Amazon for coming up with addition forms and platforms of paid messages as voice tech empowers. From the marketing perspective of mobile apps, voice raises the challenge of retention and user engagement which means developers should come up with ways to draw and maintain the user engagement as well as make them continue using the app. Amazon takes the lead here by adding notification proficiency to Amazon Voice Services API allowing Alexa to actively alert on new features on the Amazon platform. Conclusion: Voice assistants are here to stay and streamline further in coming days.